Prof Gerald S. Buller was born in Glasgow, Scotland in 1965. He graduated with BSc (Hons) Natural Philosophy from the University of Glasgow in 1986 and PhD in Physics from Heriot‑Watt University in 1989. In 1990, Prof Buller became a Lecturer in Physics at Heriot‑Watt University, was promoted to Reader in 2000 and made a Professor in 2006. Gerald Buller’s research interests are mainly associated with photon‑counting technology and applications, including quantum communications, quantum imaging, time‑of‑flight ranging and imaging. He also has wider interests in semiconductor optoelectronic devices and optical thin film multilayer structures. Gerald co‑founded TeraHertz Photonics Ltd. in 1998 and Helia Photonics Ltd. in 2002. He is currently Chairman of Helia Photonics Ltd.. He is a Fellow of the Optical Society of America, a Fellow of the Institute of Physics (UK), and a Fellow of the Royal Society of Edinburgh. Prof Buller was the founding Head of Heriot‑Watt’s Institute of Photonics and Quantum Sciences (IPaQS) and led IPaQS from 2012 until 2015. In 2015, Professor Buller was awarded a prestigious EPSRC Established Career Fellowship in Quantum Technology. Professor Buller is a member of the Management teams of the EPSRC Quantum Enhanced Imaging (QuantIC) Hub and the EPSRC Quantum Communications Hub. Prof Buller's outside interests are mountain biking, gym training, swimming and painting/drawing. Aongus McCarthy is from Ferbane, Co. Offaly, Ireland. He graduated with a BSc from University College Galway in 1989, a Diploma in Electronic Engineering from the Institute of Technology in Carlow, Ireland in 1990 and received a BSc in Physical Optoelectronics from Essex University, England in 1991. Between 1991 and starting his PhD at Heriot‑Watt University in 1997, he spent two years as an Associate on a Department of Trade and Industry (DTI) run Teaching Company Scheme (now known as Knowledge Transfer Partnerships) between Coventry University and Signam Limited in Warwick. He was then employed by Signam and was the leader of the R & D Design Team that developed a pre‑production prototype of a thermal transfer printer for printing onto non‑absorbent polyester type materials. He received a PhD degree in Physics from Heriot‑Watt University in 2002. His work focussed on the development of a polymer based integration platform for a high‑speed optoelectronic crosspoint switch demonstrator which incorporated direct laser written multimode waveguides and mirror surfaces. 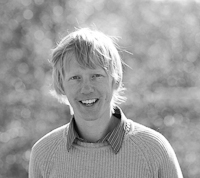 Since becoming a Research Associate, Aongus has designed, assembled and tested an optical routing module for a multiple‑wavelength time‑of‑flight sensor based on time‑correlated single photon counting, developed a polymer‑based, multi‑layer planar lightwave circuit platform, and is currently working on the optical and optomechanical design of a multi‑parameter fluorescence lifetime imaging microscope. His research interests include optical interconnects (free‑space and guided‑wave), optical and optomechanical design, direct laser writing techniques and microscope systems. Aongus has been a member of the Optical Society of America (OSA) since 1999 and a member of the Institute of Electrical and Electronics Engineers (IEEE) Photonics Society (IPS) since 2002. Ross Donaldson is from Perth, Scotland. He graduated with a BSc in Engineering Physics from Heriot‑Watt University in 2012. During his time as an Undergraduate, Ross undertook two summer research placements at the University. His first was funded by the Nuffield Foundation, where he designed a vacuum system for the Ultrafast Dynamics Group. His second placement saw his investigating polarisation‑based quantum communications. Following his Undergraduate degree, he started his PhD in 2012 with the Single‑Photon Group at Heriot‑Watt University. His research topic was quantum communication technology, something he had become intrigued about during his second summer research placement. During his PhD he worked on experimental demonstrations for two quantum communication technologies; quantum digital signatures, and quantum state comparison amplification. In 2016, he defended his Thesis title: Quantum‑Security in Optical Fibre Networks. After his PhD, Ross took on his first role as a post‑doctoral research associate (PDRA), where he developed an experiment to improve the state comparison amplifier through quantum state correction with a measurement and feed‑forward mechanism. His second role as a PDRA saw him move into free‑space quantum communications, where he investigated the novel single‑photon detector technology for free-space/satellite‑based applications. Ross is now a Research Fellow funded by the Royal Academy of Engineering. During the Fellowship, Ross will investigate novel photonic technology to enable practical optical ground stations for satellite‑based quantum communications. Ross has research interests in quantum technology, optical and photonic technology, and space/satellite technology. He is a member of the Institute of Physics (IOP). Robert John Collins was born in Edinburgh, Scotland in 1981. He graduated from Heriot‑Watt University (Edinburgh) with a MPhys (Hons) in Physics in July 2003. After a year spent working in the commercial sector, Robert completed a PhD at Heriot‑Watt University in July 2008 under the supervision of Prof Gerald S. Buller. Robert is a Research Associate currently working on experimental implementations of quantum information protocols. 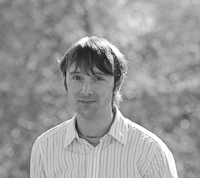 He has previously worked on depth imaging, with Dr Aongus McCarthy, and single–photon sources. He is a member of the Institute of Physics, the Institute of Electrical and Electronics Engineers (IEEE), the Optical Society of America (OSA) and SPIE. In his spare time, Robert enjoys badminton, swimming, hill walking and photography. Dr Aurora Maccarone was born in Palermo Italy in 1983. She graduated in 2007 with a BSc in Physics and in 2011 with MSc in Material Physics from the University of Palermo. In 2012, Aurora started a PhD with the Single‑Photon Group studying studying underwater imaging under the supervision of Professor Gerald S. Buller in collaboration with Professor Yvan Petillot and Professor Andrew Wallace. In her spare time, Aurora enjoys traveling, cooking and music. Peter Vines grew up in Dorset in the south of England. He graduated with a BEng in Electronic Engineering from the University of Sheffield in 2005 and went on to complete a PhD in Electronic and Electrical Engineering from the same university in 2011. His PhD focussed on IR detection and spectroscopy using Quantum Dot Infrared Photodetectors (QDIP) and low noise InAs avalanche photodiodes (APD). After completing his degree he continued his detector research in Sheffield working as a Research Associate. In 2012 he joined the Single‑Photon Group at Heriot‑Watt University where is working on infrared single photon counting using Single Photon Avalanche Detectors (SPAD). He is a member of the Institute of Electrical and Electronic Engineers (IEEE) and SPIE. In his spare time he enjoys rock climbing, hiking and sailing. Mr David W. Canning was born in Glasgow, Scotland, in 1989. Having gained an undergraduate degree in theoretical physics from the University of St. Andrews in 2013, he went on to work for Hewlett‑Packard Enterprise Services (now DXC Technology) as a systems programmer. He moved on from this position in order to gain a more rounded education in computer science via postgraduate study in high performance computing at the University of Edinburgh. David is working towards a PhD under the supervision of Prof Gerald S. Buller with the support of a scholarship from the UK Quantum Technology Hub for Quantum Communications Technologies. He will be helping work towards experimental realizations of quantum amplifiers, quantum digital signatures, and free‑space quantum key distribution. Besides work, David enjoys playing drums and percussion, playing and watching football, and running. Pete Connolly grew up in Staffordshire, England, before studying for a degree in Advertising at the University of Northampton, earning a BA (Hons) in 2008. 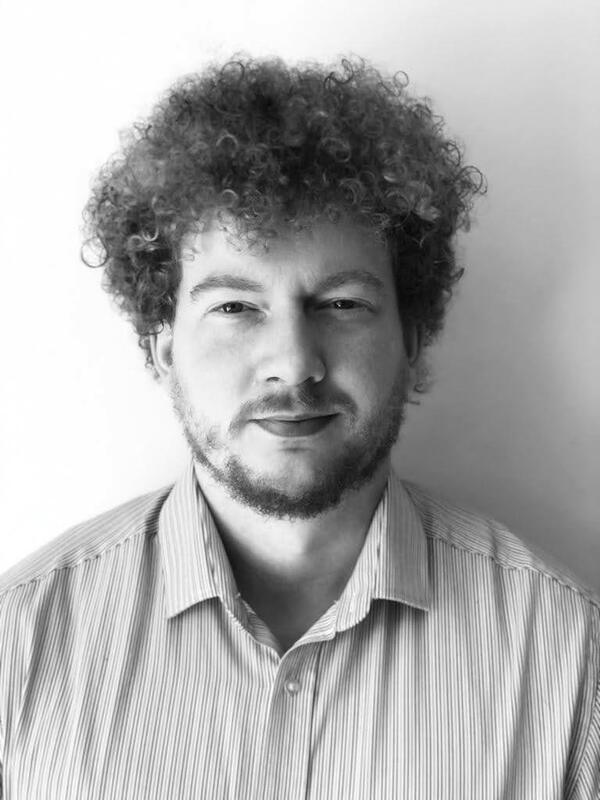 After working in advertising, Peter returned to education and graduated with an MSc (Hons) in Physics from the University of Birmingham in 2016. In October 2016 he joined the Single‑Photon Group at Heriot‑Watt University working on next generation imaging using sparse single‑photon data under the supervision of Prof. Gerald S. Buller. In his spare time Pete plays football, practices taekwondo and enjoys travelling. Zoë M. Greener was born in 1995 and grew up in Hampshire. She moved to Edinburgh in 2013 and completed her undergraduate degree at Heriot‑Watt University receiving an MPhys (Hons) in June 2018. In September 2018 she joined the Single‑Photon group at Heriot‑Watt University, studying single‑photon and quantum enhanced imaging. She is also collaborating with Ms Kateryna Kuzmenko on integrated Ge on Si SPADs on Si platforms. During her free time she enjoy playing hockey, dancing, skiing, and anything outdoorsy. Kateryna was born in 1989 and grew up in Kholmy, Ukraine. She graduated with a BSc in Applied Physics in 2010 and MSc with honours in Physical Electronics in 2012 from the National Taras Shevchenko University of Kyiv, Ukraine. 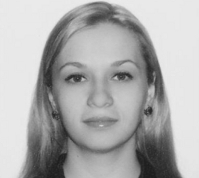 Between 2012 and 2015 she worked as an engineer in the scientific and research laboratory of standards and reference materials of optical and physical values at the Scientific and Production Institute of Metrological Provision of Properties Measurement of Substances and Materials of State Enterprise "Ukrmetrteststandard" in Kyiv, Ukraine. In 2015, she joined the Single‑Photon Group at Heriot‑Watt University working on integrated Ge on Si SPADs on Si platforms under the supervision of Professor Gerald S. Buller. In her spare time Kateryna enjoys reading Sci‑Fi literature, ball dances, movies and music. Rachael was born in Edinburgh, Scotland in 1988 and grew up in Danderhall, Midlothian where she attended Dalkeith High School. She moved to Arizona, USA for four years after high school where she studied Japanese Language and earned an Associate of Arts degree in 2010. After this, she undertook a BSc (Hons) in Physics at Heriot‑Watt University, graduating in June 2015. In June 2015, she joined the Single‑Photon group at Heriot‑Watt University working on image processing for time‑of‑flight depth measurements under the supervision of Prof Gerald S. Buller. In her free time Rachael enjoys playing flute and violin, gaming, board games, and reading sci‑fi and fantasy. Ugo Zanforlin was born in Abano Terme (Italy) in 1989. He graduated from the Università degli studi di Padova (Italy) with a MSc (Hons) in Physics in 2015. In June 2016 Ugo joined the Single‑Photon Group at Heriot‑Watt University working on quantum digital signatures, quantum amplifiers and random number generators under the supervision of Prof. Gerald S. Buller in collaboration with Dr Ross J. Donaldson, Dr Robert J. Collins and Mr David W. Canning. He has been a member of the Optical Society of America (OSA) since 2016 and covered the role of officer for the Heriot‑Watt OSA student chapter in 2017. In his spare time Ugo enjoys playing the piano, mountain biking, reading, cooking and gaming. All images taken from HiPWallpaper copyrighted to their respected authors.